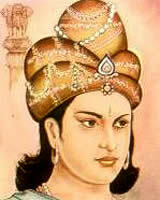 Ashoka was an Indian emperor of the Maurya Dynasty. He lived around the third century BC (c 269 BCE to 232 BCE). He was a powerful king and reigned over a realm covering much of the Indian sub-continent. On taking the throne, he sought to extend his power and kingdom; he launched a bloody and destructive campaign against the state of Kalinga on the east coast. In this campaign, Ashoka’s army killed many thousands of people. However, after witnessing the aftermath of the destructive war he became aware of the great suffering he had caused. His remorse caused him to completely change course and embrace Buddhism. After his conversion to Buddhism, he forsook his wars of conquest and became devoted to the Buddhist principles of non-violence. He established schools and hospitals for the poor and built many Buddhist temples across the Indian sub-continent. He was highly regarded in his lifetime for his enlightened rule and concern for his citizens. It completed one of the most remarkable transformations of any political leaders. In later life, he was referred to as Priyadarsin (“He who regards everyone with affection”. His ‘Ashoka Chakra’ was adopted as the symbol of Independent India in 1947. Ashoka was the grandson of Chandragupta Maurya who founded the Mauryan dynasty. His father was Bindusara (Vindusar), who was widely considered to be a good ruler of the kingdom. His mother was Empress Subhadrangī, a Hindu Brahmin. He had several half-brothers and sisters from his father’s other wife. Ashoka was a fierce fighter and hunter, with great military prowess. He was given military training and responsibility for maintaining order in local provinces. Compared to his siblings, Ashoka was considered ugly, and when young he resented their comparable popularity. On the death of his father, there was a power struggle for the throne. Stories from the time, suggest Ashoka killed his siblings and the legitimate heir to the throne in his remorseless quest for power. He was crowned king in 269 BCE, four years after his succession to power, suggesting a prolonged power struggle. After ascending to the throne, Ashoka extended the borders of his Empire, taking Assam in the East and Iran in the West. His realm extended over much of the Indian sub-continent, except Tamil areas in the very south and in (modern day) Sri Lanka. Kalinga (modern-day Odisha and Andhra) was a province on the east coast of India. It had a strong Buddhist following and was ruled by a monarchy and parliamentary democracy – which was unusually democratic for the time. However, with Ashoka’s great military strength, he succeeded in conquering and defeating this province. It is said up to 100,000 soldiers were killed, and more deported. On entering the city, Ashoka was moved by the extent of the destruction and suffering he had caused. Edict 13 of the Edicts of Ashoka recount his later view. Around this time, King Ashoka also gave a famous speech where he talks about the paradox of his victory. On hearing this, Ashoka was deeply moved and he spoke to the Buddhist monk Upagupta, saying he wished to learn more. After this incident, Ashoka began his conversion to Buddhism. He sought to relinquish his bloodthirsty past, but live according to the Buddhist principles of compassion and non-violence. He also issued edicts against Vedic animal sacrifices and supported the welfare of animals. This included the banning of hunting and the slaughter of common cattle. Ashoka also emphasised the importance of religious tolerance and respect for other religions and teachers. Although Ashoka was a Buddhist he was on friendly terms with other religious groups, especially Hindu monks and may have incorporated aspects of Hinduism into his worldview. 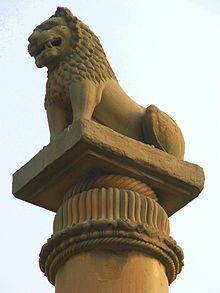 Ashoka also had many edicts and teachings inscribed in pillars and rocks. For example, Ashoka’s Major Rock Edict at Junagadh. This gives a lot of information about his reign, which might otherwise have slipped out of knowledge. An important political development of Ashoka was that he sought to legitimise the rule of a king, not through a divine right, but through adherence to Buddhist scriptures and the Buddhist community. In many Southeast Asian countries, it became common for the king to rule in association with the Buddhist religious community. Emperor Ashoka had many wives and children. 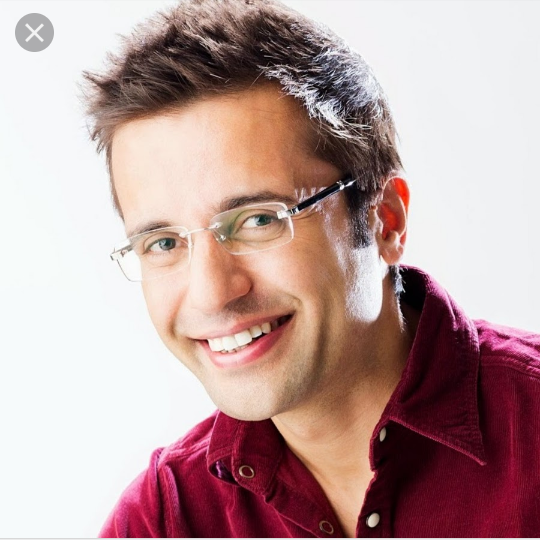 His first wife was Vidisha Mahadevi Shakyakumari Asandhimitra. She bore him twins – Mahindra and Sanghamitra. 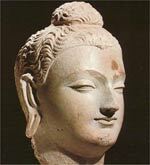 Ashoka entrusted these two to spread Buddhism in Sri Lanka, where they proved successful.